Ben Norton’s Collateral Damage, Pt. 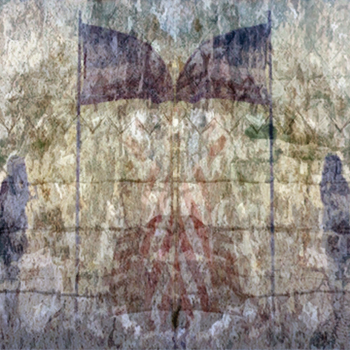 1 is the first in a trilogy of three albums – this one a protest to American imperialism, particularly the highly controversial issue of drone strikes that effect the innocent. The album is a fast moving five song piece that covers far more moods and sounds than there are songs. Most every song transitions through several musically thematic ideas, but constantly returns to the hard-driving foundation that is found in the short first track. Not only are the songs complicated in that each contains several sections, but in that each section is densely packed with numerous independent parts that whip through each other. Ben has made the scores for each song available on his site, and taking a look through the score for any of them is evidence of the complexity he has created here. Lyrically, there’s not a lot being veiled here – the words are easy to interpret and don’t hold very much back, particularly the last song’s main theme: “They must be punished for the worst crime of all, being born in the wrong place, at the wrong time.” Also important to note is that Ben has been in charge of each part of the process here – he’s written the words and music, performed (or programmed) all the parts, done the post-production, created the album art, and even put together an entire website with as many resources for the album as you can imagine. Whether you consider the independence with which this whole project was put together, this album is a great piece of work, and Norton’s musical knowledge is easy to pick up on on your first listen. If you’re a fan of metal, prog-rock, mathcore – or anything in that particular vein – give it a listen. Tracks I Liked: All of them, especially Dreams in a Vacuum! !, Whose Child! !, and Wrong Place, Wrong Time!! !